General Release Notes from the May 15th 2015 update. When looking for a pharmacy through Surescripts, the pharmacy fax number will now be displayed alongside all other pharmacy information. 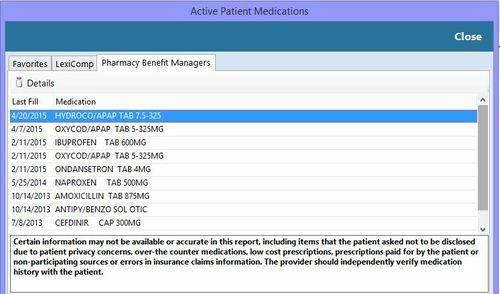 The Medications/Allergies screen on the patient’s chart will now display additional information about medications, such as dispense amount and sig, generated from prescriptions the office has written for the patient previously. Implemented a “Details” button when searching for Surescripts medication history for a patient. This feature may not always be available and depends on what information is available for that particular patient and medication. Note: Information displayed under Details comes from Surescripts’ records. TRAKnet is merely displaying this information as it receives it. When e-prescribing, you can now set a maximum list size for favorite medications. Favorite medications will be generated based on the medications prescribed most often by the office. 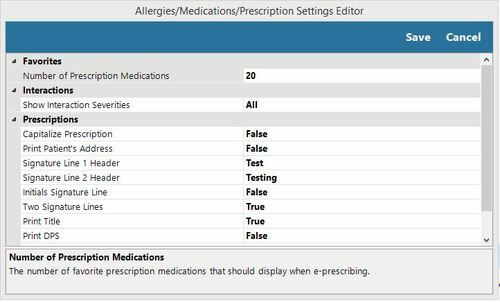 The setting for max list size is located on the e-prescription wizard under Settings > Number of Prescription Medications. Implemented the ability to create system-wide custom multimedia folders. This is located under Properties > Property Values > Multimedia Folders. Folders added here will appear for all patients. Folders that are deleted will NOT be deleted from existing patients, but will be excluded from all future patients’ Multimedia folders. Implemented the ability to enter a provider adjustment directly from an insurance check. This can be done to any item where the insurance payment has been posted and a remaining amount must be adjusted off. This is a new tab on the insurance check called Provider Adjustments. Superbills found under Properties > Superbills are now editable. These superbills are remenants from TRAKnet 2.0 and will reflect those superbills. Note: The electronic superbill found here will only contain treatment codes. It will not have a header, footer, or diagnoses codes, as it is not meant to be printed. This superbill comes into play from the Invoice tab in the encounter, by clicking the green plus sign and selecting the Superbill tab. From the patient’s chart, Actions > Import Documents has been removed. This is to be accomplished with Multimedia > Import Documents instead to ensure documents are being entered into the appropriate location of the patient’s chart. Printed prescriptions should now properly display the prescribing doctor’s credentials, e.g. John Smith DPM. The «VisitProblems» quick link will now automatically update to reflect the order of diagnoses codes as found under the Diagnoses tab of the Encounter. Removed the function to generate a CCDA from the encounter. For meaningful use, this must be done from the Patient’s Chart > Patient Engagement screen and the second link was causing some confusion. Please click here for a video detailing these steps: https://youtu.be/A4hk4r2X-o0. Message templates you have created for the Phone Calls/Messages feature will now properly display their quick links and fields. 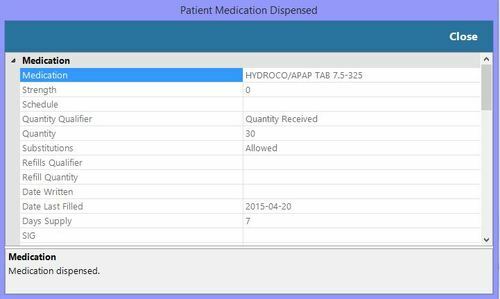 When selecting the NDC for a prescription, the dispense amount will automatically update to the indicated quantity, pack size, etc. Resolved an issue where the “Encounters with Negative Balances” and the “Duplicate Patients by SSN” queries executed with blank column headers. To accommodate changes to diagnoses in TRAKnet 3.0, two new queries have been created: the “Top Diagnoses Used (ICD-9)” query and the “Top Diagnoses Used (ICD10)” query. These can be found under the Billing Dashboard > Reports > Queries. The “Top Diagnoses Used” query remains, but should be used only in Version 2.0. Disabled the functionality to embed Hot Spots links in a dashboard, as these are intended for charting an encounter only. Resolved an issue where prescriptions would not print if the “Two Signature Lines” option is set to “True” under Settings. The “Patient Forms” icon on the patient’s chart will now open to a list of Folders. If a folder is selected that contains no items, all system-wide templates will be displayed. To add a document to a folder, move a document to that folder under Manage Templates. Resolved an issue where, after opening a secure message with the “Pop Out” feature, you were then unable to close it. Resolved an issue the Task list was indicating there were tasks available but no tasks were showing. Resolved an issue where the last item in a bulleted list was not staying bulleted when used in Encounters. Deleted allergy values will no longer remain in the list of available allergies when adding an allergy record to a patient’s chart. Altered the Patients Added by Provider query for clarity’s sake. 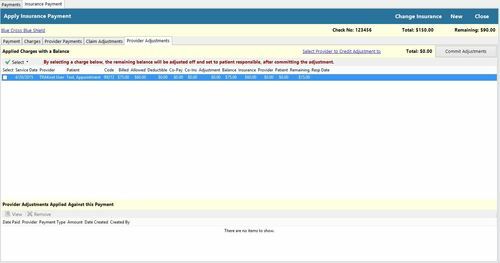 The Provider column will now say “Primary Physician.” If no PCP is set on the patient’s chart, “Not Entered” will be displayed. Resolved an issue with the “Average Billable by Provider” and “Average Billable by Facility” reports where 3.0 encounters were not being included in the totals. Comments on treatment codes will now always show in the Charges view of the invoice. Template folders that have the same name will no longer duplicate. This is not case sensitive, meaning DR. JOE’S TEMPLATES and Dr. Joe’s Templates will be considered the same folder. Resolved an issue where the “Used” count was not displaying correctly on Referral Authorizations. Resolved an issue where Delay Reason Codes and Special Program codes were not sending correctly in electronic claims. Please re-enter these codes on any claims needing resubmitted. Resolved an issue with the “Print Address” insurance setting where secondary insurances with this set to False were printing the primary insurance’s information. Signed encounters should no longer retain the yellow “Show Fields” highlights, nor should the links mistakenly appear to be active. Corrected a misspelling in the «PendingDiagnosticTests» link. Corrected a mislabeling issue in the title of an error message when there are no remits available to download. Resolved an issue where searching for a pharmacy by zip code when e-prescribing was not bringing up accurate results. Resolved an issue which was preventing the use of the right-click dropdown menu in the Comments field of the Edit/Add Appointment window. Resolved an issue where the «Vitals» link was causing the digit before the decimal point to drop off, e.g. 23.0 was rendering as 2. Resolved an issue where cancelled appointments were still appearing in the «FutureAppointments» link.